On Sunday I took Emalie Squirrel hunting on some public land near Lake Ray Roberts, and after a couple fruitless hours of scanning trees and walking through thorn bushes we came up empty handed. To make up for it we visited the tailrace below the dam on CR455. 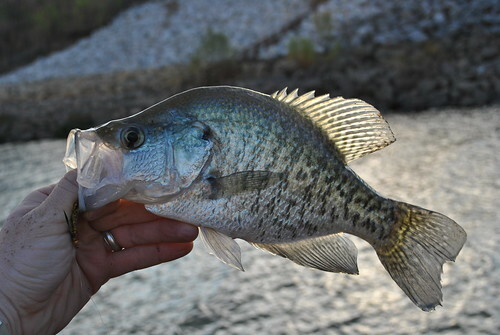 I hooked this nice white crappie right off the bat with a Squirrel hair spinner fly. 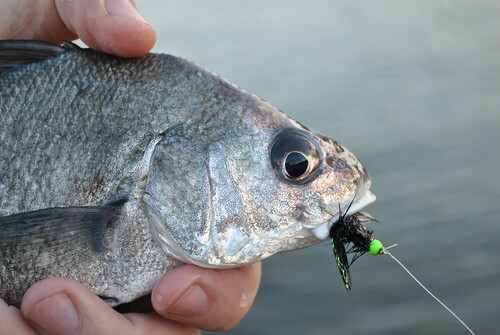 The drum fly strikes again! The temps are dropping in North Texas and Pickerel fishing is starting to cross my mind. Leaving for Las Vegas tomorrow. I just rode my bike across the damn at Ray Roberts a couple of weeks ago in the Denton Turkey Roll (I rode 37 miles). I remember looking down at the tailrace and wondering about the fishing. Looks like I need to go back. Any tips on parking, or access in general? Its a great place. You just drive in to the tailrace on the south east side of the Dam. Its 5 bucks per person/vehicle. Don't pay and a ranger will leave you a ticket. Go the speed limit in the park. There are signs for parking when you pull in. 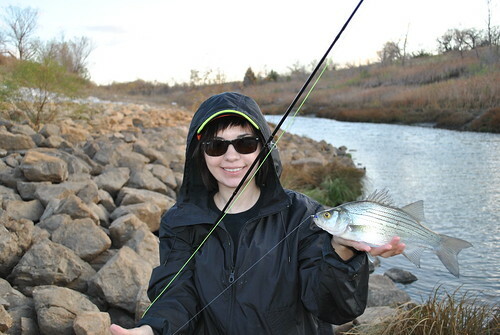 Bring a sinking line, or something to get your fly down.